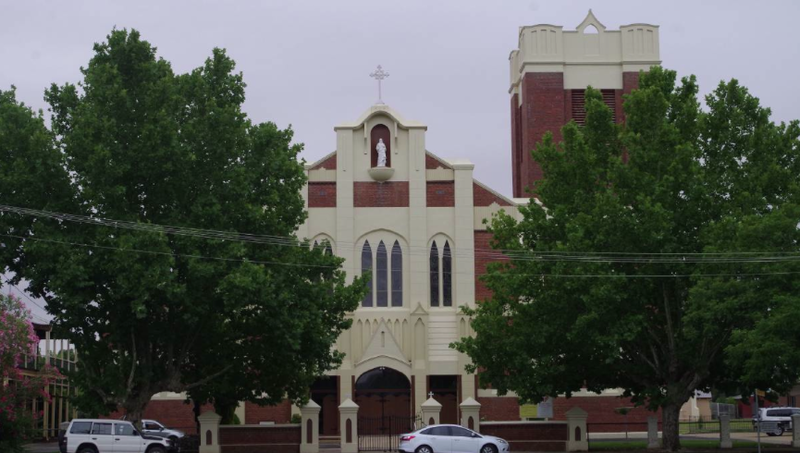 Big celebrations are being planned by the Catholic community of Cootamundra for next year, as they look to commemorate 100 years since the consecration of their Sacred Heart Church. On February 6, 1916 Bishop John Gallagher the Bishop of Goulburn laid the foundation stone on the church which had been very much designed as a cathedral. At the time their was much talk about the forming of a new diocese towards the south of the state and with a cathedral proportioned church, Cootamundra was more than in the running for it. History says the new diocese would be based at Wagga Wagga, but the Cootamundra community were more than happy with what they had been given. Remarkably the iconic Sacred Heart church was completed in less than six months and the first mass took place on June 25 in that year (2016). Prior to 1916, the people worshipped at St. Columba’s church which was built in 1880 by the first resident Gundagai priest on the scene Fr. Patrick Dunne who would visit Cootamundra every fortnight. However due to the burgeoning Catholic community at the time, there was a need for a bigger church and so it came to fruition through the tremendous work of Dean O’Shaughnessy. Pastoral Associate Sister Kathy Hodge RSM said the parish looked forward to the celebrations, but said they have pushed the date out to October, in doing so hoping for better weather and allowing more time to attract people far and wide to get themselves organised well in advance, so they can come and enjoy the occasion. “We just thought that it would be nicer to have something in October when there is a better chance that the weather will be more pleasant and it also will give people more time should they wish to come,” she said.